Keith Boanas and Alberto Kurti have agreed to continue in their roles at Watford as Head Coach and Assistant Coach respectively for the 2017/18 season. 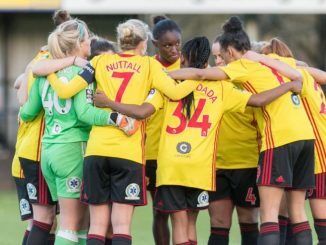 The pair joined the club prior to the start of The FA WSL Spring Series, in which a three-game unbeaten run was the highlight, as the Hornets beat Sheffield FC and Oxford United, while gaining a creditable point against Doncaster Rovers Belles. Watford say their management duo are now focused on building on that over a full season. “Decisions about my career at this stage are never that easy, but the club have been supportive and given me a positive feeling about the future,” explained former Charlton Athletic and Estonia boss Boanas to www.watfordfc.com. “Having the right support mechanisms around you is key and Alberto fits that perfectly. “The Spring Series was a fact-finding mission and I believe that we found far more positives than negatives. 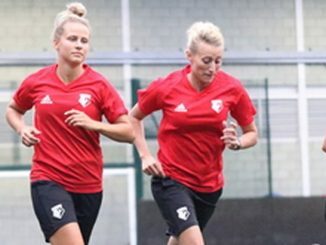 “We’re now looking forward to a full FA WSL season, which is a fresh challenge for both the retained and new players, plus of course the staff. Kurti commented: “I really enjoyed working alongside Keith and the squad during the Spring Series. It is very important to have a continuity with the club for the staff and the players,” he said.